Welcome to ProRenter Property Management’s blog! 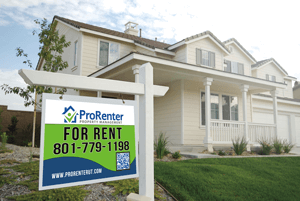 ProRenter is a full service property management company serving Davis County, Salt Lake County, and Weber County in the State of Utah. We primarily focus on residential rental property management and manage properties such as: single family homes, condos, town homes, duplexes, 4plexes, and medium sized multi-family apartments up to 50 units. Our blog will focus mainly on topics that are relevant to investment property ownership and management. Whether you are a landlord who currently owns rental property, a real estate professional looking to learn more about this industry, or someone considering purchasing rental property, hopefully you will find our blog informative and helpful. Please feel free to let us know if you have questions concerning any of our blog posts or if there is a topic that you would like to learn more about. Paul Watson is the owner of ProRenter Property Management a Utah Property Management Company. Paul has more than 11 years experience in property management. He is a licensed real estate agent and holds a BS in Marketing and Economics from Utah State University.